Just a Fat Girl in Flip Flops: Illustration Friday - "Hollow"
This is my contribution to this week's Illustration Friday - "Hollow"
'Cause sometimes mine feels just a little....hollow. aww that's a good interpretation, definitely have felt that way before! :( aw that's not good, in fact it kind of makes me sad that anyone could feel their heart is hollow. 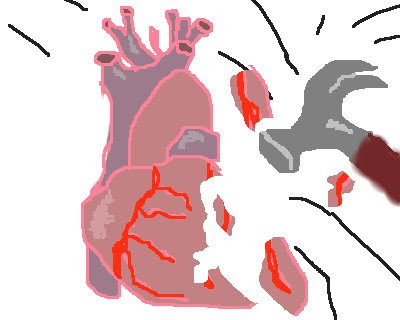 How can you mend a broken heart? I can't dance but I can eat.